The National Emerging Museum Professional Network (NEMPN) partners with The Museum Scholar to coproduce a new peer-reviewed academic journal Theory and Practice. The inaugural issue will feature articles focusing on the future of museums with an emphasis on the role of technology, culture, and politics. Theory and Practice will help enable emerging museum professionals to make meaningful connections across backgrounds, disciplines, and institutions. This issue is the first of a thematic journal series exploring varied topics related to museums, with articles written by emerging professionals. Utilizing The Museum Scholar’s Open Access Gold platform, Theory and Practice will be free for readers online, granting broader access to ideas to advance knowledge across the museum field. There is also no fee for authors to participate. Each article is published in two formats on the journal’s website: as a downloadable academic paper, and as a web-based publication. Milan has a background in architecture and American Studies, with a passion for museums and non-profits. She currently works at an architecture organization developing resources, engaging artists and industry partners, as well as managing new program development. Her career is the intersection of mission-driven work for the built and cultural environments. Stephanie works as the Adult Programs Coordinator at the Albright-Knox Art Gallery. In her role as a museum educator, she seeks to facilitate opportunities for the public to access and understand contemporary art. She has a MA in Art History from Boston University with a specialization in mid-century Latin American and European art. Matt is an emerging access professional, dedicated to decreasing barriers in cultural institutions. He is a 2016 graduate of the Cooperstown Graduate Program. During his free time, he spends time nerding out to video games, astronomy, and nature. Rachel is an educator currently living and practicing in Chicago. During the day, she convinces people that vegetables are amazing and that all things creepy and/or crawly are really cool; she moonlights as a “rogue” public program developer with her cohort at Museum Game Night, encouraging people to be playful at museums around town. She believes in the healing powers of breakfast tacos, loves escaping the city to commune with wilderness, and enjoys playing boardgames with her life partner. Sena is a recent graduate of the UW Museology (Seattle) master’s program and currently works as an evaluator at the Missouri History Museum. She spends her free time binge watching Netflix, playing the bass in various community orchestra, and volunteering at her local dog shelter. And always looking for interactive data visualizations to fill in the gaps in between. The National Emerging Museum Professional Network is an independent coalition of Emerging Museum Professional Chapters from all over the United States and two international chapters. 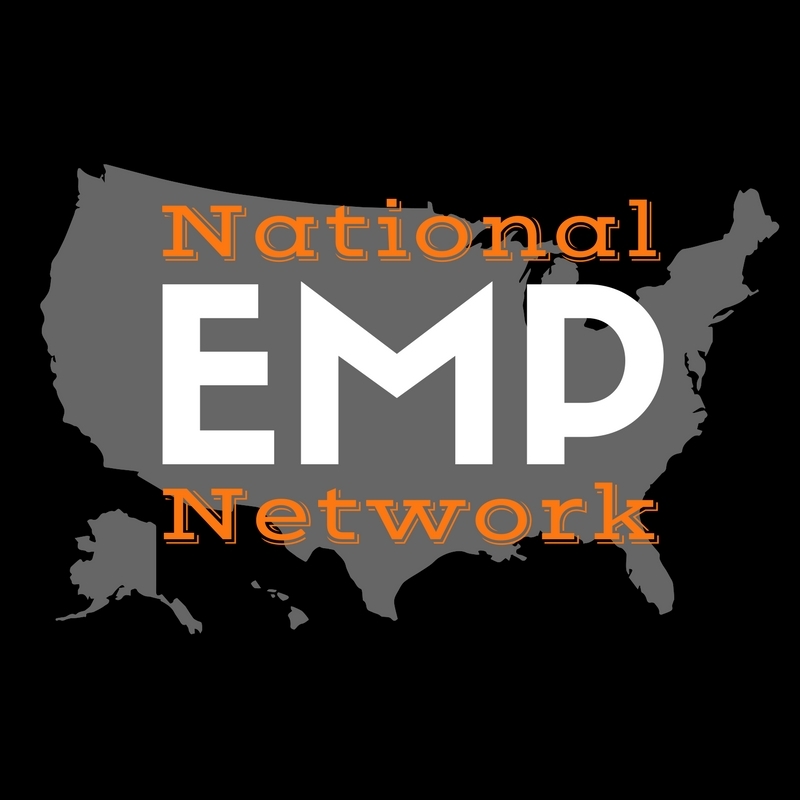 NEMPN is comprised of an all volunteer board of directors made up of chapter leaders and lead by a vibrant and active Executive Committee. The NEMPN Board is proud to introduce its new President Michelle Epps, Vice President Marcus Harshaw, and Secretary Sarah Groh. Currently the group is actively seeking a Treasurer to complete the organization’s newly formed Governance Committee. Prior to becoming President, Michelle Epps co-created and co-chaired the Cleveland Emerging Museums Professionals group for 5 years. Under her former title of Executive Committee Chair, Michelle was instrumental in bringing together Emerging Museum Professional Chapters leaders from across the country to create the National EMP Network. Marcus A. Harshaw is a dynamic, energetic, and innovative leader with experience in museum education, program, and evaluation roles. Marcus recently earned a Master of Arts in Museum Studies from Johns Hopkins University, and is the founding member of the Cincinnati Emerging Museum Professionals chapter. Sarah Groh currently holds leadership positions in Guest Operations and Membership departments of San Francisco Bay Area Museums. Her prior roles have ranged from event management to public programs to exhibit design. Sarah is also the President of Bay Area Emerging Museum Professionals. The Exective Committee members are Diane Strand, Keith Lohse, Erika Katayama, Jackie Peterson, Charles Zange, Katherine Mercier, Ellen Lynch, Carl Aldrich, Kassaundra Porres, Nancy Harmon, Brittany Snider, Alex Garcia, Grace Torres, Adrienne Turnbull-Reilly, Kelsey Picken, Rebecca Gomez, Garrett Barmore, Patrick Wittwer, and Erin Murphy. Follow the links for a complete list of General Board Members and Emerging Museum Professional Chapters. To find out more please visit National Emerging Museum Professionals Network. Any inquiries can be directed to Michelle Epps at president@nationalempnetwork.org.